As the status window continually resizes itself during the update, it will leave behind old pixels, and your screen will look similar to the attached png. Spread decorations could be redrawn more often during scale, thus causing more computation. I can't reproduce that. Which GPU/driver do you use? Which version of Ubuntu? Which version of Unity? > Ubuntu? Which version of Unity? I *think* I'm using Unity 2D, but I'm not sure. Just start that going then hit super+w. you are using Unity and I think I understand the bug you are facing. 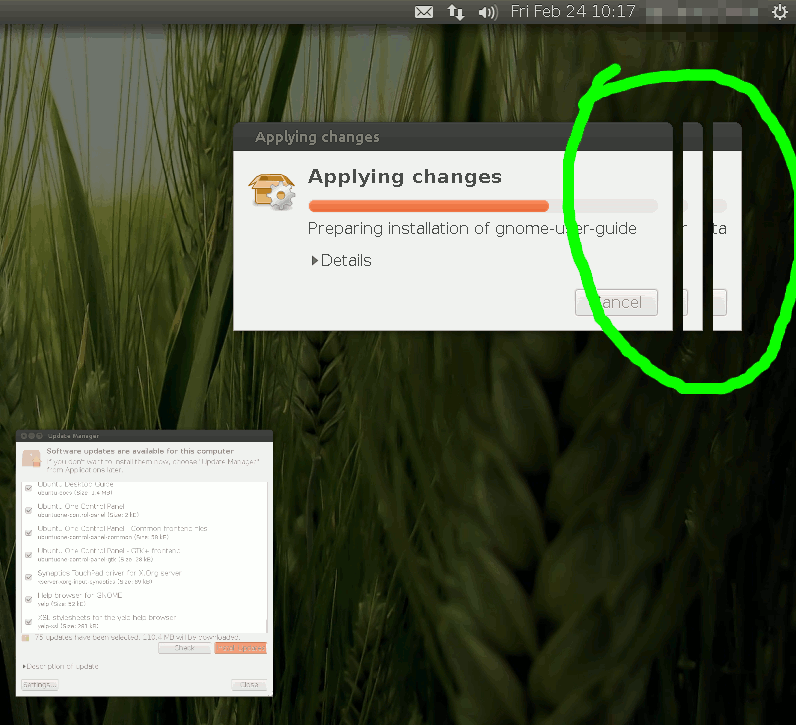 I have seen that update manager window resizing like crazy so what you faced was during expo.